Despite VMware’s efforts to make vCAC look more appealing our customers still like a GUI that actually looks as if it was from this century. And it is really no problem to build something like the Telerik Kendo based ‘Self Service Portal’ (the one that will sadly be replaced by something in else in the next version of vCAC). My personal preference currently is to use ‘Lightswitch’ (a HTML5 RAD development framework in Visual Studio). This is especially useful when you want the customer only to see a few options and not the “standard” properties you always have to provide in vCAC. With that you can easily set properties like blueprint, provisioning group, owner, … for this request. 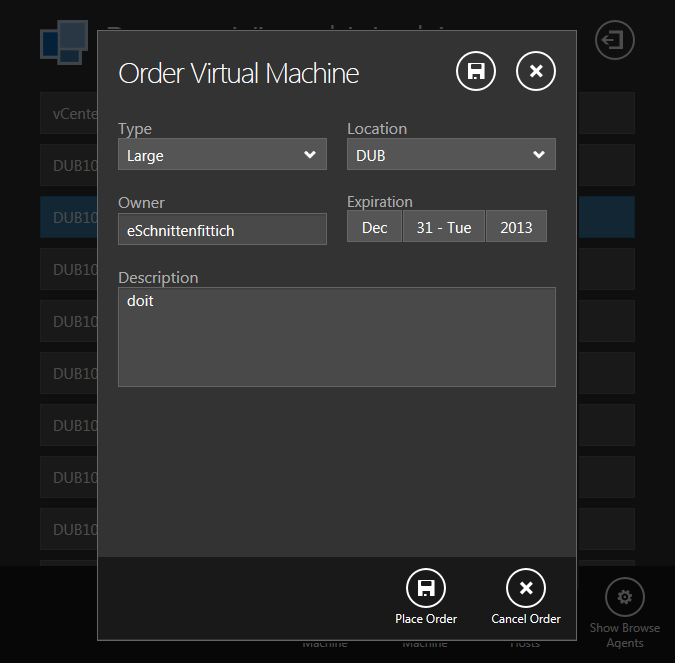 In our requirement, we need to create a same new UI for request a machine in vCAC self service portal. 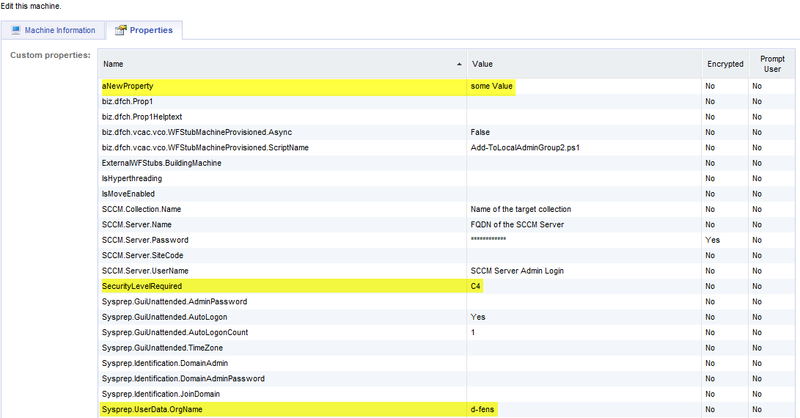 Can you please suggest some solution or help links for create and implement a new UI in vCAC self service portal. I already replied to the original message in https://communities.vmware.com/message/2332145#2332145. But here is an additional approach you might want to take. You can build a new web page based on the same Kendo controls from Telerik as the SelfServicePortal and have it linked to the original portal (then you preserve the look and feel of the page). and with this you can still reuse it even after upgrading to the next version of vCAC.